CONACHT BACK ROW Jarrad Butler said he can’t get enough game-time after returning from injury and he’s hoping to play his part in securing a Challenge Cup quarter-final away to Worcester Warriors this weekend. The 26-year old was probably Connacht’s best performer in the early part of the season before a nasty knee injury in the closing minutes of their 20-16 win over Munster in October sidelined him for almost two months. Butler, born in New Zealand before moving to Australia when he was 13, returned and scored his first Connacht try in the 44-16 rout over Ulster just before Christmas. The injury came after he made a storming start to his Connacht career and he’s just glad now to have surgery and rehab behind him. “It was really frustrating being out but it could have been a lot longer. I was really fortunate with the surgery but any time you are not with the group and you are on the sideline, it’s not fun having to watch the sessions so it was really good to get back into training and really exciting to get back in the squad. “I really wanted to be back for these inter-pro games, it’s really exciting, everybody was talking about them and how big an opportunity they were. “I really wanted to be available and that first game coming back probably tested the lungs a little bit but to play 80, and 80 again, I was pretty happy with that,” said the former Reds and Brumbies player. Connacht head to Sixways this weekend knowing that a win over Worcester Warrriors will not just wrap up a quarter-final spot but all but secure home advantage when that tie comes. Butler said he doesn’t approach Europe any different to other games, he just wants to be involved and build on the 11 appearances he has made for his new side. “We just take it every game, the way they work rotation you never know when you are going to be in the 15 or the 23 so you just take the opportunities as you get them, do the best you can and hope you are in the following week. “So, personally, I don’t take each game as a European, or inter-pro or PRO14, it’s just ‘next week, next week’ and try not to get injured,” he added. Email “Back from injury, brilliant Butler doesn't want to miss a beat for Connacht”. 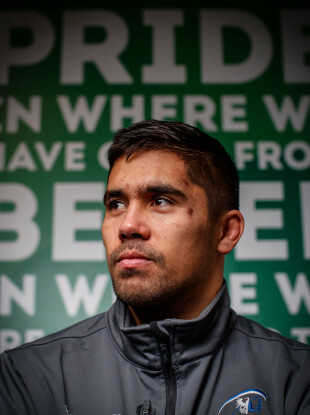 Feedback on “Back from injury, brilliant Butler doesn't want to miss a beat for Connacht”.